When it comes to our dogs, we most probably always want to choose the best food in order to ensure their long and healthy life. This is especially important since in later years they need to be in top shape to be able to still play and do all of the things that keep them happy and entertained. Since we’re also talking about a global trend that emphasizes the importance of having a healthy diet for both people and pets, it’s only natural that we want to take a closer look and understand exactly what organic dog food means and what are the benefits it brings. Before going further into this topic, let’s take a moment and understand what organic dog food is in order to know what to look for through the multiple food alternatives available for sale. When it comes to organic food for people, there are various regulations and guidelines in place that the producers must adhere to in order to obtain the necessary certifications to sell their products labeled as ‘organic’. What you might not be aware of is that the same rules apply to organic dog food as well. This term means that the ingredients used to produce this food are grown and processed without any toxic pesticides, GMOs, antibiotics, synthetic hormones, sewage sludge, irradiation (which is a technology intended to ensure food safety by eliminating germs) or artificial flavors, colors or preservatives. Moreover, farmers and producers are also required to follow guidelines such as the humane treatment of animals, as well as to ensure conservation methods for water and soil. They also have to keep track of their procedures, as regular inspections take place in order to ensure that the organic standards are continuously met. Now that you understand what the term organic conveys, let’s take a closer look at what the labels say and how this information can help you make the right decision. One thing to keep in mind is that dog food can be either completely or partially organic. If the label says “Made with Organic Ingredients” this means that at least 70% of the ingredients are organic, while if it simply says “Organic” this percentage increases and over 95% of the ingredients must meet the requirements. If you want to make sure that the organic claims are backed by an official certification, as some producers might use the term “organic” without having gone through a certification process, then look for the USDA Organic Seal. By reading the label you can make sure that the food you are about to purchase was responsibly produced. However, even if a dog food is organic, it doesn’t necessarily mean that it contains everything your pup needs. In the following part, we’ll dig a little deeper into this aspect. Does organic always mean better? While it’s true that choosing organic dog food means you can rest assured that the ingredients are of high quality and that their source is regulated, it doesn’t mean that it’s more nutritious than conventional food. 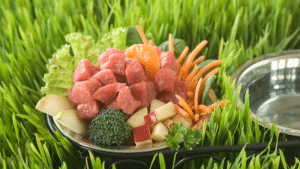 The aspects you should keep in mind when you choose the food for your dog are nutritional value, quality, cost, taste, and other factors such as ease of use. Some dogs, especially older ones, can get quite picky when it comes to their food, so if you buy organic food but your little friend won’t eat it, that’s not the best solution. Some experts advise pet parents to carefully consider the ingredients included, even if the food is organic. Plus, their order on the label signifies the percentage they own within the overall mix. Plus, if we’re talking about partially organic food, it’s a good idea to see which ingredients are actually organic. If these are the ones that don’t hold an important nutritional value for your dog, then they might not really make a difference. To put this in other words, simply think about which option is healthier for people between conventionally grown vegetables or organic processed food. The aspect you should keep in mind is that choosing food made of raw ingredients that are properly sourced and processed, and that is suitable for human consumption as well, is the preferred option. Besides the ingredients contained, you should also consider which type is the most suitable one for your dog’s needs when you make your choice, as each one comes with various pros and cons. Dry dog food is highly convenient as you can easily store it and purchase larger quantities at once, which makes it an easy-to-manage alternative. Moreover, the price is generally lower compared to other types, so that can also be a determining factor. Being dried, this food has a higher concentration of nutrients. On the other hand, the fact that it lacks moisture means there’s a dehydration risk if your pup doesn’t have water available all the time. 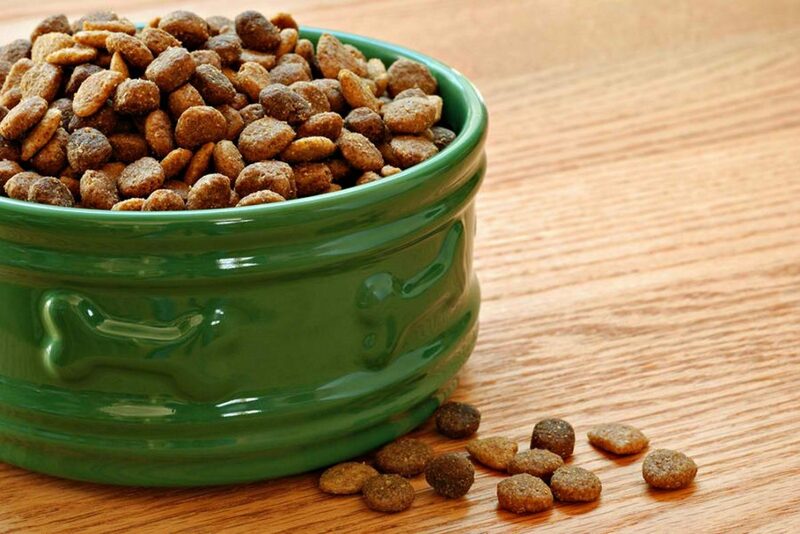 Canned dog food is, according to some experts, a better choice than dried one, as it contains a greater amount of moisture, which might make it more suitable for your dog. Plus, it will most probably be more appealing as well, since our furry friends eat it with greater pleasure. On the other hand, its cost can be significantly higher. Raw dog food might be the best choice for your dog since it’s based on and resembles the ancestral diet of dogs when they were hunting and scavenging in the wild. Also, since it’s not cooked or processed, raw food retains enzymes and vitamins, which make it easier for dogs to digest. As not all dogs are the same, it’s important to take into consideration the different aspects that can require different nutritional needs. If we’re talking about a puppy, he or she will require more nutrients and vitamins to help sustain the development process. The same applies if your dog faces certain conditions, such as food allergies or weight issues. In case you are not sure which food meets all of your dog’s needs, make sure to get a vet’s opinion on this subject. If you liked this article, maybe you’d enjoy reading another one, such as that we’ve written on the future of pet tech.